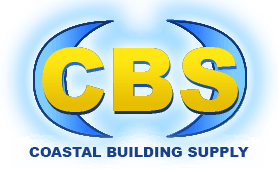 Coastal Building Supply of Jacksonville is your premier building partner for Doors, windows, plumbing fixtures, electrical, lighting supplies, as well as full warehouse consolidation services. Serving the North Florida over 2 decades, Coastal Building Supply of Jacksonville facility sits on approximately 1 paved acre with a 40 thousand square foot warehouse. Since that time we have built a very strong infrastructure to become one of the most prominent Building Supply companies of it’s kind in North Florida. From a small remodeling job to a high-rise building or a commercial work, We have the right equipment, supplies, and experience to service all of your needs. We strive to provide our customers with outstanding service and high-quality, screenrooms, Hardie & vinyl siding , Atrium & YKK vinyl windows, columns, shutters, and decorative millwork at competitive prices. Coastal Building Supply of Jacksonville have built a reputation on our track record of excellent service by doing everything we can to make sure all of our customers are always satisfied with our prices, services, and customer support team. Coastal Building Supply of Jacksonville carries products that are versatile and durable, and we look for the same in our Installation teams. CBS installation teams, outfitted with the necessary expertise or partnered with specialists from the manufacturer, consult with clients to certify proper installation specifications are followed as per the vendor’s instructions. Have been contracted to install siding a home or building. Do your customers want the luxurious and traditional look of wood siding? Are a homeowner that is working on a DIY siding project and want the most for your money, turn to fiber cement siding as an affordable and equally beautiful alternative. We have many options including James Hardie Concrete Fibre Cement. Let our expertice make it wasy on you! Don’t sell yourself short. Get the experience, service, as well as the quality you know you deserve. When looking for quality siding or building materials, our staff can help make your dreams become a reality. Open doors to new possibilities! Coastal Building Supply of Jacksonville offers our customers the highest quality material, highest service level, at the most competitive prices in the market. Coastal Building Supply of Jacksonville, Inc.
Northeast Florida is a large area with many resources. Residents quickly discover they can acquire just about anything they want. This is true for individuals and businesses alike. The key is to know where to look and who to call. We are a member of the Northeast Florida Builders Association and one of the area’s greatest resources for builders.